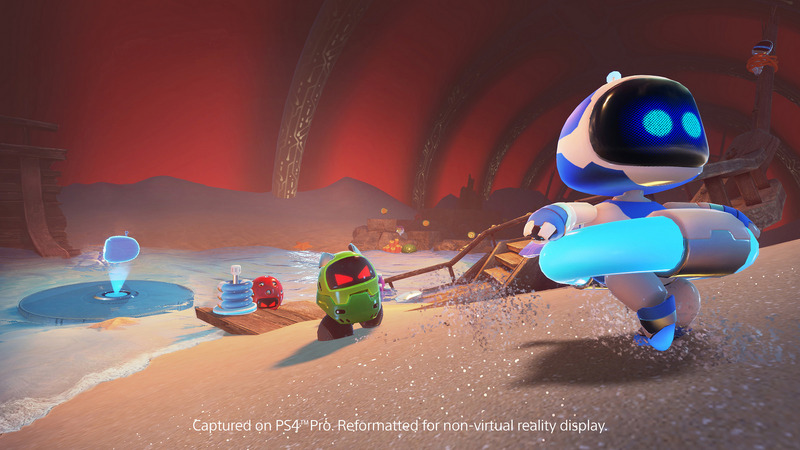 Astro Bot Rescue Mission is a mascot platformer that has taken the PlayStation VR community by storm. The game launched on October 2, 2018, but for those of you who haven’t played yet, you’re in luck. Starting on October 16, 2018, you can play a free demo of Astro Bot Rescue Mission. The Astro Bot Rescue Mission demo seems like it could be rather substantial. It will offer a sample of the gameplay. You’ll tackle one city level, where you traverse the roofs of high-rises. Once you reach the end, you’ll fight one of the game’s bosses. Packed with twenty-six levels, six boss fights, and plenty of challenge stages, a lot went into this game. While the team faced plenty of challenges, the people making it learned how to reinvent classic platforming principals for the VR space by considering the importance of camera control and being able to judge the distance between two platforms. One of the game’s most interesting features is the way Astro Bot Rescue Mission involves the player. You use your DualShock not just to control Astro, but to help him. Your controller works as a gadget equipped with tools. For example, you can cast a tight rope to help him cross a chasm. If you have a PlayStation VR headset, be sure to jump into this adventure when the free Astro Bot Rescue Mission demo releases on October 16, 2018.